Anna who is Magic: I Used Thomas Jefferson's Bathroom. I Used Thomas Jefferson's Bathroom. How do I say this delicately ... I can hold it for a long, long time. Seriously. You know what I mean. I go to the bathroom twice a day on average. I don't know, I can't explain it. It's just always been that way. Which is why what I'm about to tell you is (extra) funny. Several years ago, my parents took us on a spring break trip to Monticello. Somehow I got the idea -- and to this day I have no idea how I thought this up -- that I really wanted to go to the bathroom at Monticello so I could tell people I went to the bathroom at Thomas Jefferson's house. But I couldn't stop at Thomas Jefferson. I also went at Montpelier so I could tell people I went at James Madison's house. I'm pretty sure I went at the Vatican so I could tell people ... well, you know. Do you know where I randomly had no success at all? Monaco. There was nowhere to go at Grace Kelly's house. So that one has definitely alluded me. I don't know, man. There's just something about saying "I got to use Thomas Jefferson's bathroom" that is just pretty nifty. To people like me. Who are wackos. So I don't actually think about this on a daily basis (promise) but I was reminded of it today when my mom posted this on my Facebook wall. 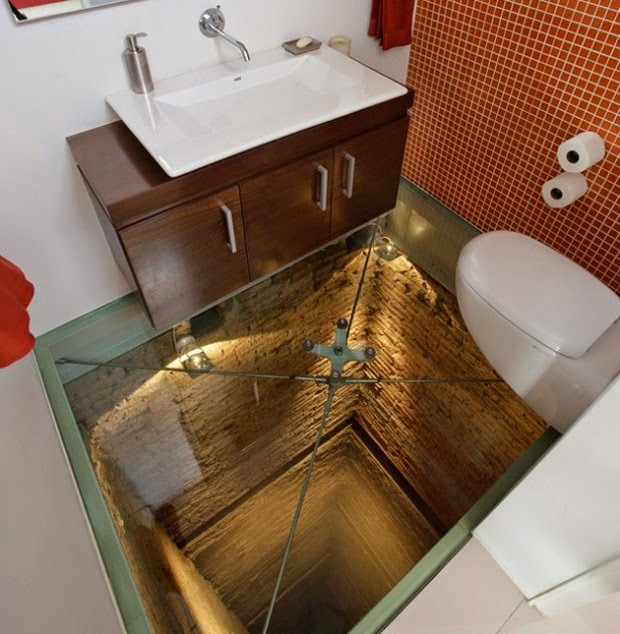 It's called "23 Places You Absolutely Must Poop Before You Die." My family knows me. Well okay then! A new challenge. Accepted.